As we all know, white is the color of peace, purity, chastity and innocence. White roses are generally associated with new beginnings and thus make an ideal accompaniment to the first time moments. This bunch of 18 white roses is also a perfect presentation of some peaceful moments for the one who means a lot to you. Held together in a pretty pink wrapping and a white ribbon draping, this bouquet will warm the heart of the receiver instantly and create a wonderful memory to behold for a lifetime. Send some warmth in white! 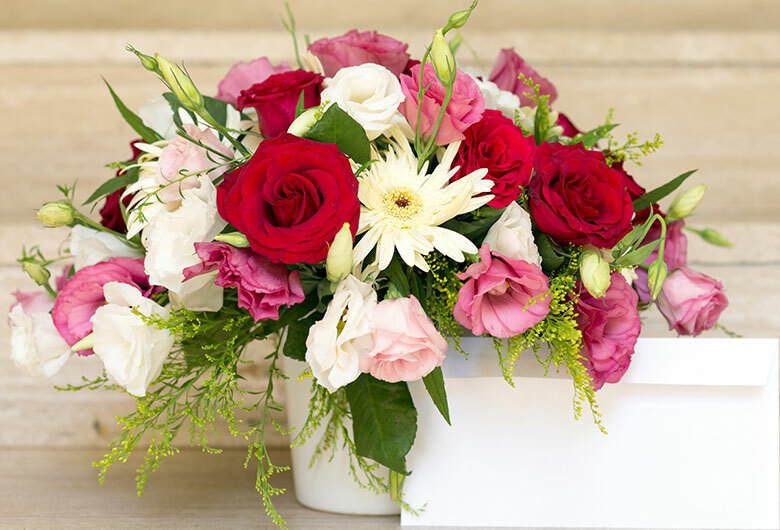 It's a great company that provides excellent customer service and makes it easy for people like who living outside India and wants to send flowers for their special or loved ones.